In his speech this week to the International Association of Chiefs of Police, President Obama spoke just once about his own experience with police officers. The data also reflect that Chicago may be the worst city in the country to “drive while black.” A new analysis by the New York Times shows that black drivers who are pulled over in Chicago are 5.2 times more likely than white drivers to be searched by consent (as opposed to searches based on probable cause). That’s higher than in any other city in Illinois, North Carolina, Connecticut or Rhode Island, the four states that collect comprehensive data on searches that are conducted during traffic stops, according to the Times’ analysis. Black drivers in Springfield are 2.7 times more likely than white drivers to be searched, and those in Greensboro, N.C., the focus of the Times article and vanguard of sit-ins during the civil rights movement, are 2.2 times more likely to be searched. In all three cities, black drivers who are searched are 20 to 30 percent less likely than white drivers to be found with contraband. Of course, the four states make for a small sample size, and Chicago is by far the largest city in any of the states. But that doesn’t explain why police in Chicago, with a population that is about equally white and black, search black drivers at a rate so much higher than police in other cities with similarly diverse populations. There are no easy explanations, said Ed Yohnka, director of communications and public policy for the ACLU of Illinois, which has been analyzing the traffic stop data in Chicago and across the state for years. “The reality is that we have made progress in some places, but not everywhere,” he said. One possibility is that Chicago’s history of racial segregation makes police more suspicious of black motorists when they drive through majority white neighborhoods. The ACLU drilled down into the data and found that black motorists were significantly more likely to be stopped in majority white police districts. For instance, in the Jefferson Park police district on the Northwest Side, African-Americans were 1 percent of the population in 2013 but accounted for nearly 8 percent of all traffic stops. Even if they don’t provide an explanation, the data are useful in bringing attention to the issue of racial profiling, Yohnka said. Forty-six states don’t collect sufficient data on searches that take place during traffic stops. “Without the data it would be too easy to just sweep this under the rug and act as though there is no problem,” he said. For that, Illinois has President Obama to thank. As a state senator, Obama worked with law enforcement for more than two years to craft the law that requires police agencies across Illinois to record information about every traffic stop they make. At the time, he often referred to it as a “racial profiling” bill, a term he avoided in his speech to the police chiefs this week. 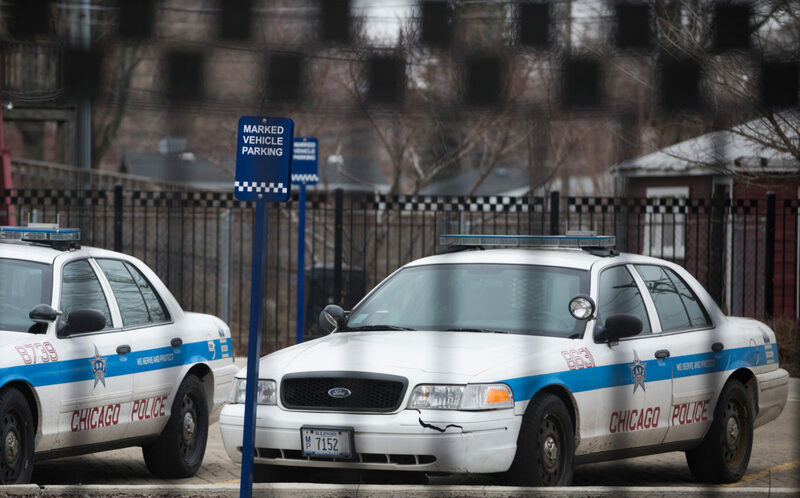 Since data was first collected in 2004, the overall number of traffic stops in Chicago has been cut by more than half and consent searches of cars have dropped almost 90 percent. However, the data show that the racial disproportionality of searches has actually worsened. In 2004, black drivers were about three times as likely as white drivers to be searched after they were stopped, according to the ACLU’s analysis. In 2013, they were 4.7 times as likely. What he didn’t say is how they would fix those problem spots. What’s clear from the data—and from the fact that the president is still talking about racial profiling in Chicago more than 10 years later—is that they haven’t fixed them yet. so liberals are bad and no.